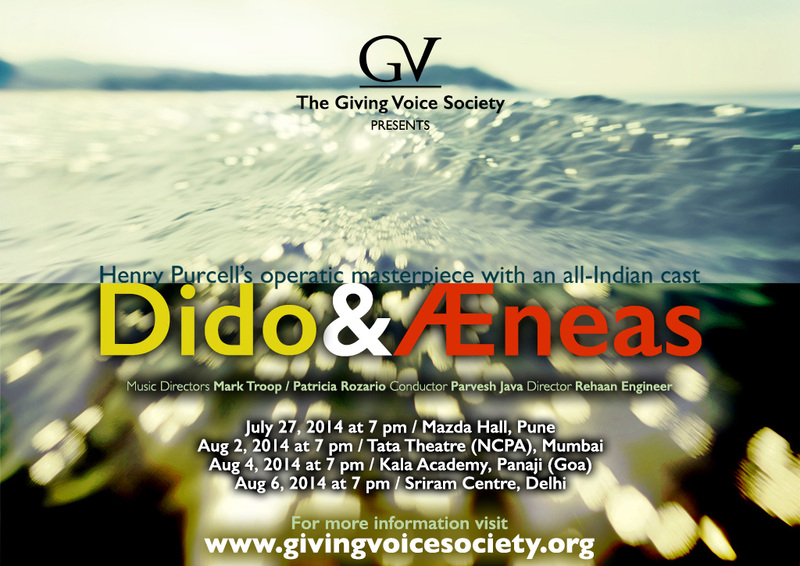 Dido & Aeneas with an all-Indian cast annnounced! Yours truly will be participating as a Baritone in the chorus! PUNE – July 27, 2014 at 7 p.m.
MUMBAI – August 2, 2014 at 7 p.m.
GOA – August 4, 2014 at 7 p.m.
NEW DELHI – August 6, 2014 at 7 p.m. Ticket and Box Office details will be announced shortly.